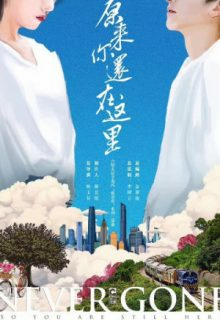 The story begins in high school when Cheng Zheng(Elvis Han), falls in love with his complete opposite, the quiet and gentle Su Yun Jin (Yang Zi Shan). Although Yun Jin also has feelings for Cheng Zheng, she knows that their personalities and family background are vastly different, so she purposely avoids Cheng Zheng. After graduating high school, Cheng Zheng transfers into the same university where Yun Jin studies and continues to pursue her. The two finally get together but the pressures from family and life after graduation cause a strain in their relationship. They fall further apart until Su Yun Jin breaks up with Cheng Zheng. A few years later, Cheng Zheng returns to the successful life of Yun Jin. I hope they give justice to this version, I watched the old one and I don’t like the ending! !